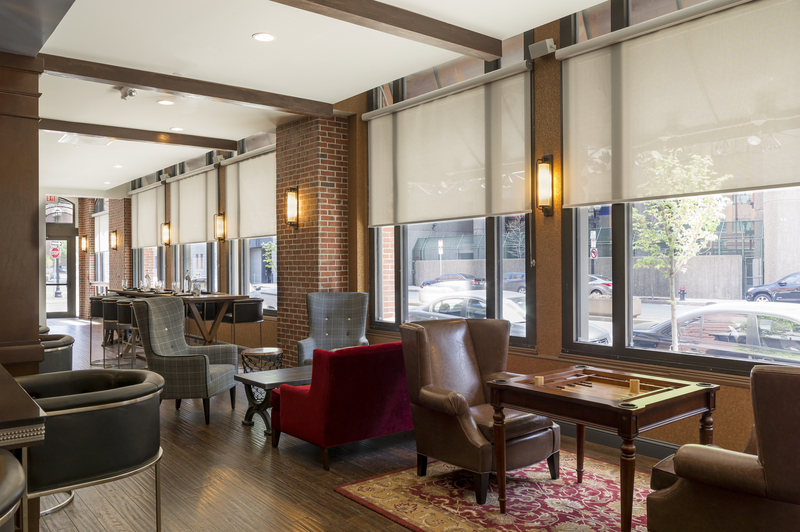 The Boxer has a classic yet modern New-Englandy feel to it. You know, just like your ex-boyfriends Barbour jacket that you never gave back (whoops!). 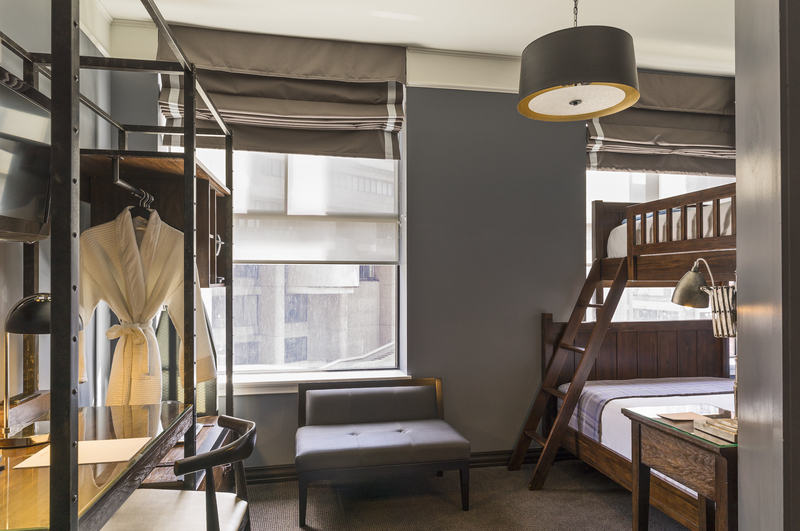 The Boxer is a place that will never go out of style with it’s Industrial-chic boutique hotel feel in the heart of Boston. 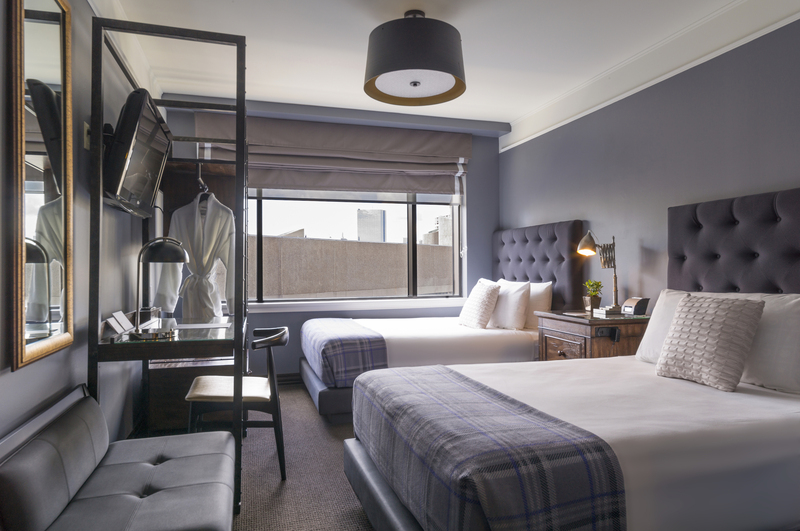 Recently renovated by J. Brice Design, the hotel rooms & suites in Boston feature tufted bedframes, riveted steel wardrobes, and gold metal pendant lamps accent the stylish slate blue guestrooms. Relax over brunch or dinner at the Boxer’s Finch, which is open daily (but just not for lunch) at the large communal farmhouse tables, or slide into our comfy barrel-back bar stools for drinks at the bar. 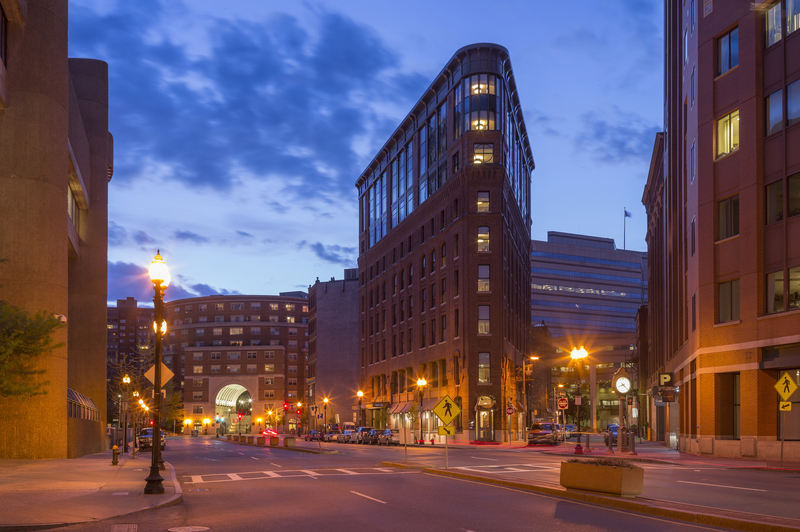 The hotel is located in the Boston Flatiron building and is nestled between the iconic cobblestone streets of Boston’s Beacon Hill and the endless Italian restaurants of the North End. 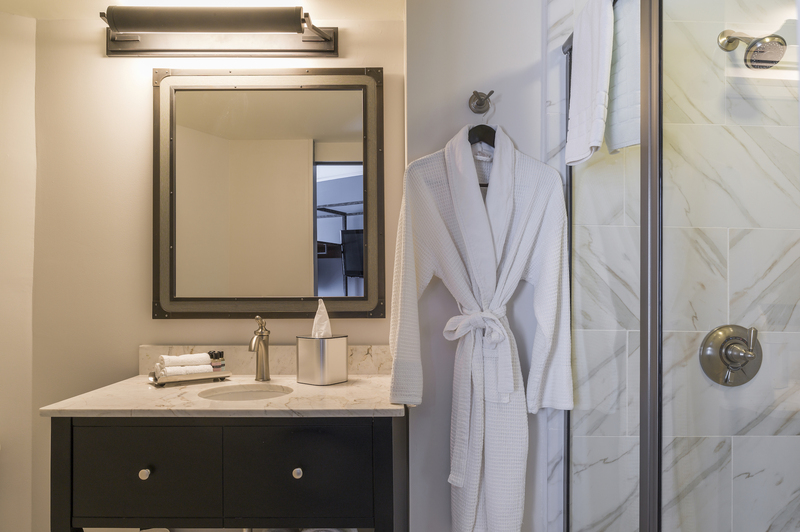 Stay here if you plan to meander through the Public Garden, walk the Freedom Trail, see a Celtics game at TD garden, or just explore Boston. 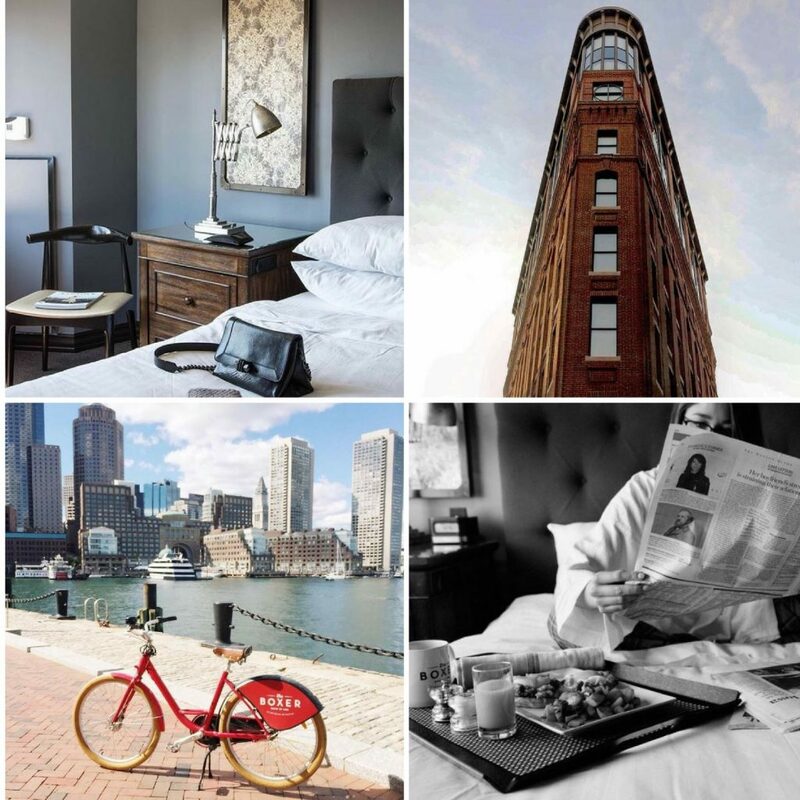 Whether it be your first time in Beantown or your 20th, The Boxer is a perfectly charming hotel that will make you fall in love with Boston. A cannoli from Mike’s Pastry. We recommend ordering a few and having a bite of them all (there are 18 flavors… ). Visiting in the fall? Don’t forget your Barbour jacket, and a cute scarf. No spa here, but be sure to take advantage of the hotel’s bespoke bicycles. Drew Barrymore in Fever Pitch.